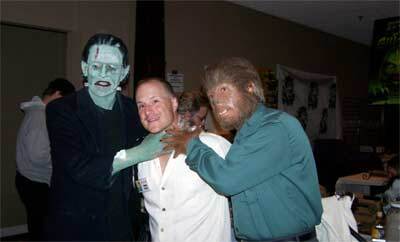 The Monster (Tim Herron) and The Wolf Man (Mark Statler) come to grips with an attendee! A packed room awaiting a Question and Answer session. 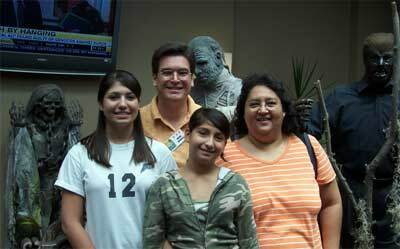 The Metaluna Mutana greets attendees in the hotel lobby. 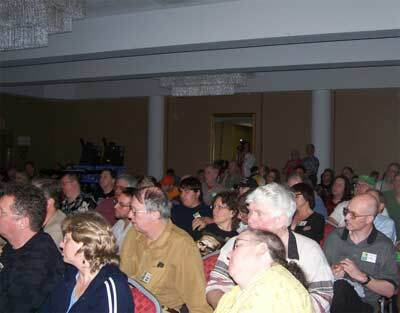 Sharing the interest in movies with fellow attendees and staff. 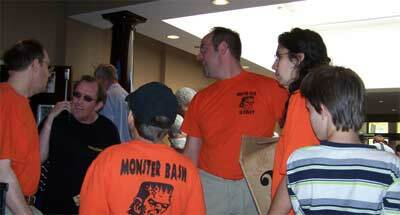 The Nichols family arrive at Monster Bash. 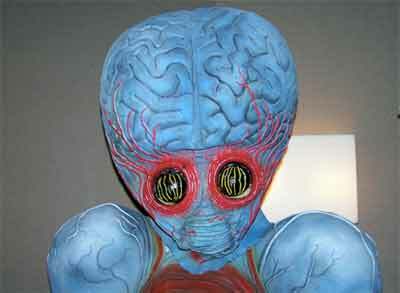 The Nichols family introduce their home-grown monster sc-fi film, a tribute to the fun 1950s atomic age creature features! 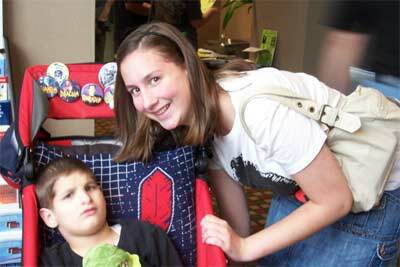 Noah Sheaffer and his big sister in for the Bash. 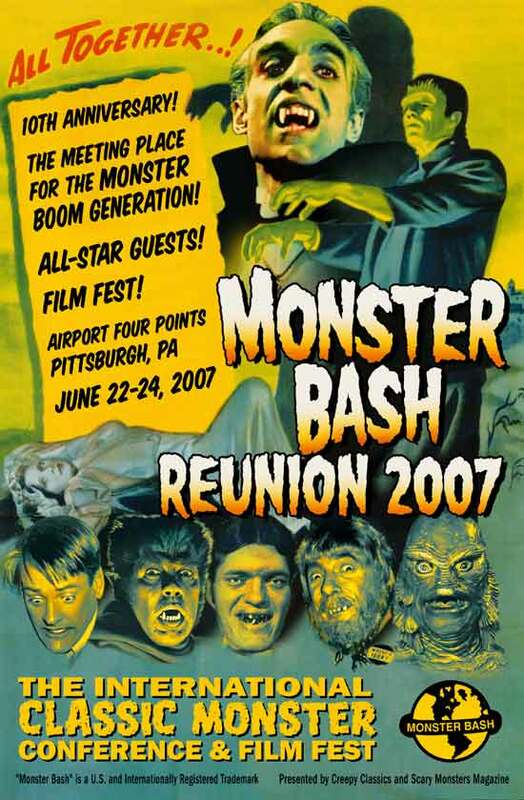 Old friends reunite at Bash....Bela Lugosi (the wax figure from The Witch's Dungeon Movie Museum) and real life childhood friend of Bela Lugosi - Richard Sheffield! 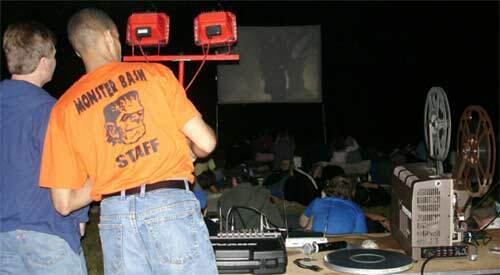 Outdoor screening on Saturday night with Mark Bialek (The Drive-In Club) and Bash projectionist Geoffrey Curtis. 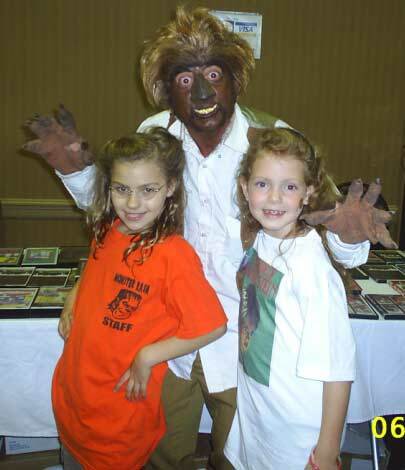 Paisley and Willow meet werewolf Garlou. 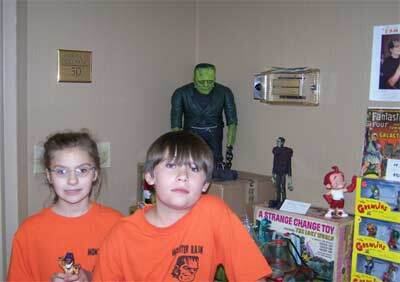 The Monster Bash juinor staff - Paisley and John, tough cookies! 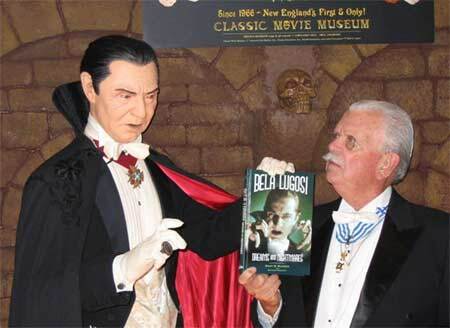 "The Ghoulchic" - Pat Gonzalez catches up with TV Horror Hostess - Elvira! 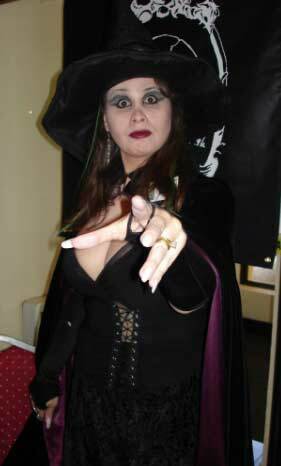 TV Horror Hostess - Penny Dredful gives us "The Whammy!" 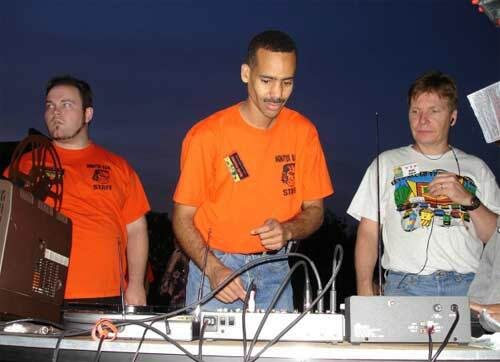 Projection crew extraordiniar - Brian, Geoffrey and Mark. The Queen of Outer Space (actress Laurie Mitchell) cuddles up with attendee Robert Taylor. 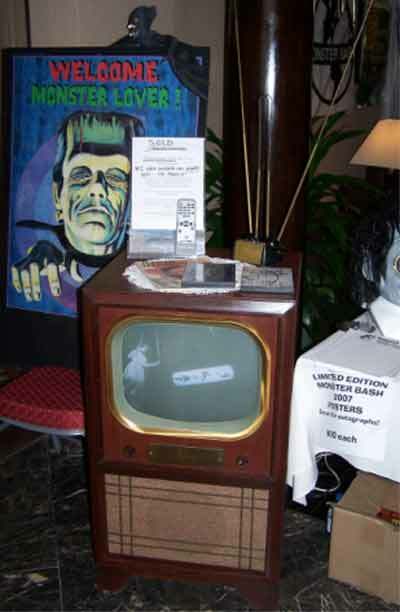 The Retro TV at Bash registration plays vintage toy commercials. TV refurbishment by Tom Mizikar. 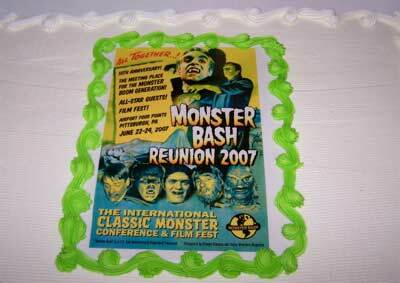 Five giant sheet cakes displayed Monster Bash art from the past ten years! 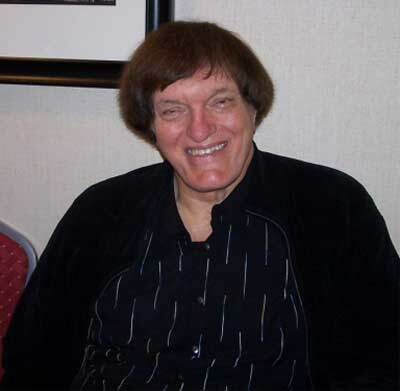 Gracious Monster Bash guest Richard Kiel!